It’s hard to get a read on what Jim Benning is trying to do sometimes, especially when it comes to signing contracts. Some of the contracts he has handed out fit under the category of questionable. This can be said about the contracts of Derek Dorsett, Luca Sbisa, and Brandon Sutter, all who have signed multi-year extensions without really proving that they are worth the cap hit or the term. Dorsett was stellar on the fourth line and in a leadership role last season, but at the time of his signing, his contract was fifth-highest among Canucks forwards. Sbisa couldn’t even fully prove that he was worthy of being one of the six defencemen to dress for the Canucks, but you wouldn’t have known it by his contract. Sutter hasn’t even played a game for the Canucks yet Benning carelessly hurled a five-year extension at him. Maybe Benning should have given out three more “prove it” contracts, but at least he got it right with some of these other deals. Benning was able to give out some contracts that seem fair and reasonable. These are the type of contracts that put the onus on the player to prove that they are worthy of the deal. In the case of these three players, they must prove that they are worthy of a contract beyond this season. Benning showed that he valued Baertschi highly by giving up a second-round draft pick for him at the trade deadline. After only playing three games for the Canucks last year, many are penciling in Baertschi for a top-six role this season. Right now it’s hard to tell if this is just desperation from the Canucks or if they really believe that Baertschi can fill the role. Based on the one-year “prove it” deal, it’s probably a bit of both. The Canucks have a lack of offensive players entering their prime (24-28 years old), so the expectation is that Baertschi can grow to fill the secondary scoring role. His short stint with the Canucks shows promise that he can blossom this season. 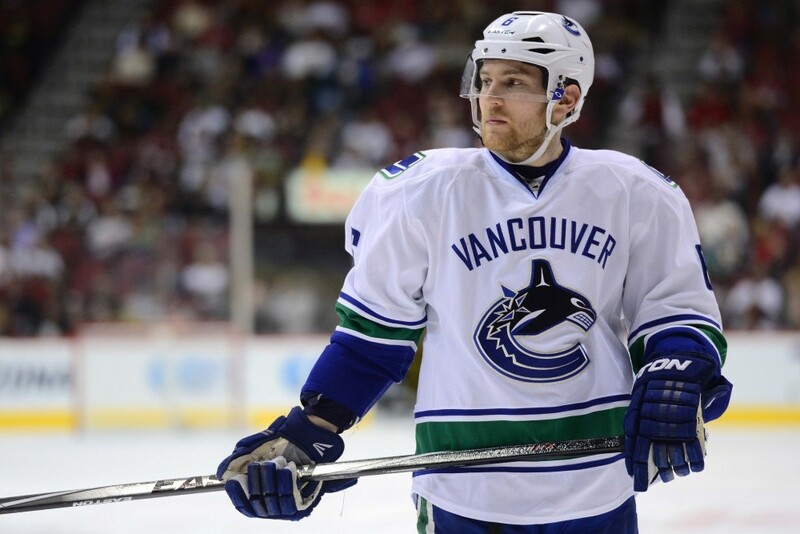 He scored 2.14 points/60 in 18 NHL games last season which was best on the Canucks, albeit in a short sample. He was also a workhorse in Utica during the playoffs, leading the team in goals and finishing second in points. 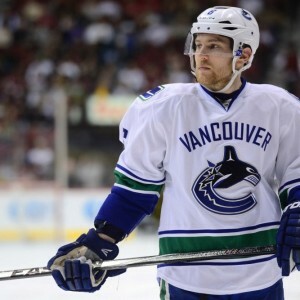 If he is able to fulfill a reliable offensive role for the Canucks, then both the trade for Baertschi and the one-year contract will be a steal. The Canucks better hope that is the case or it may be a long year trying to find consistent offensive production from this roster. Players are going in either one of two directions when they sign a “prove it” contract. Some, such as Baertschi, flashed their capabilities and signed a contract with the expectation that those abilities will continuously improve. This isn’t the case for Linden Vey. Just like Baertschi, Vey was traded for a second-round draft pick with the expectation that his offensive production in other leagues would translate to the NHL level. It didn’t exactly pan out that way for Vey last year, who finished with the worst points/60 of all Canucks forwards, and became invisible as the season went on. It doesn’t look great for Vey going forward unless he can establish himself as a defence-first forward. Although he was initially acquired for his playmaking abilities, he is penciled in on the fourth line to center Brandon Prust and Derek Dorsett. It’s a different role from where he started last season when he initially had powerplay duty. It’s impossible to ask Vey to improve offensively while playing with Prust and Dorsett. Vey was given a modest raise from last season’s one-year contract which was worth $735,000. His raise says that the Canucks weren’t displeased with his play last season, but the one-year deal says that he still has to prove that he deserves to play at the NHL level. and had a better points/60 than Edler last season in all situations. After going from a depth option to a regular on the Canucks back end last season, Weber will likely be relied upon in a top-four role this season. There is a lot of pressure regarding whether Weber can fill that role, especially considering that he is on a one-year deal. You might ask why Weber is on a prove-it contract and not new Canuck Matt Bartowski. I’d argue that Benning believes he knows what he has in Bartowski as an NHLer, and he got paid based on his ceiling as a player. He isn’t a flashy as Weber but is a reliable depth option for the Canucks. While Weber will be getting paid less than Bartowski, he will initially be relied upon in a bigger role this season for the Canucks. Based on their play last season, Weber probably deserves to be paid more than Bartowski, but if Weber proves himself worthy of a top-four role on the Canucks defence this season, he will get a hefty raise from the $1.5 million he makes this season. Thanks to CapFriendly for the contract information!